This book provides full case studies and fresh, critical analysis of the principal voyage patterns, commodities, traders and shipping of Bristol and its region in the seventeenth and eighteenth centuries, the widely acknowledged 'Golden Age' of the port. Making use of data derived from port books, Dr Hussey argues that the extensive coastal and river network that served Bristol provided a vital link in the organisation of the pre-industrial economy of the city and its domestic hinterland - south-west England, the central and west Midland counties, the Welsh Borderlands and south and south-west Wales. The book covers Bristol and the ports of the Bristol Channel and Severn Valley, Somerset, North Devon, Cornwall, central and west Midlands, Welsh Borderlands, south Wales. It is the first book-length study to come from a nationally-funded major project to computerise the Coastal and Inland Port Books and will be of interest to students and scholars of urban, economic, social and maritime history. David Hussey is Senior Lecturer in History/History and Computing and Director of the Port Books Programme at the University of Wolverhampton. A well organized, fully documented and highly informative monograph. From time to time certain books emerge that quickly establish themselves as basic works of reference and become benchmarks by which other studies are subsequently judged. Hussey has written such a book. It is a solid achievement of synthesis and clarity and represents the leading edge of modern historical scholarship. Moreover, it demonstrates the enormous value of regional studies to our understanding of the economic history of transport and maritime commerce in the pre-industrial age. Hussey has certainly combined historical scholarship with the computational skills appropriate to the work of a modern historian. A most worthwhile contribution to maritime history and our knowledge of trade in this rather under-researched area. Produced to the customary high standards of the University of Exeter Press, with a full bibliography, this is a well-written, important and welcome contribution to our understanding of coastal shipping and trade. In this detailed and comprehensive discussion of the coastal trade of Bristol and its region between 1680 and 1730, David Hussey seeks to address a number of issues of importance to both regional and maritime historians. 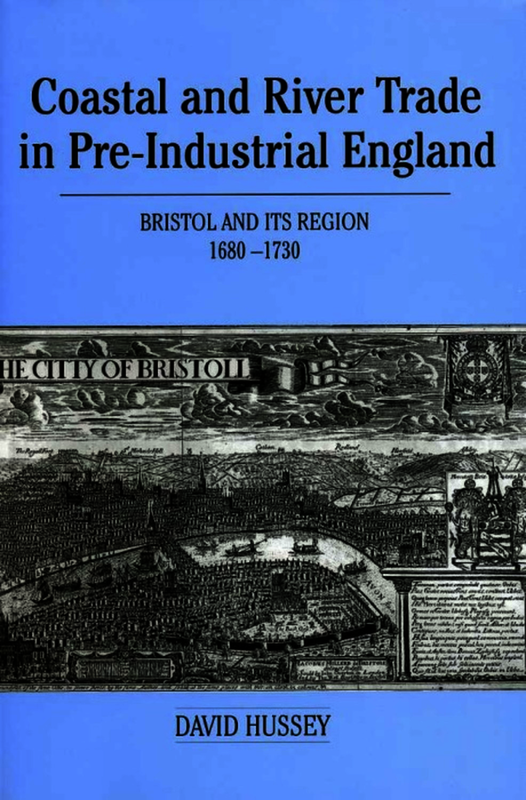 ... a fully-documented study which clearly demonstrates both the main parameters of the coasting trade of the Bristol region during the study period, and the importance of this trade to regional economic development. Underpinned by voluminous quantitative data. ...this study is a sound example of scholarly, regional history which poses – and answers – a number of important research questions. This is a major contribution to the history of domestic trade, transport and commercial systems; important as a coherent study of a region; significant if oblique in its value for the student of material culture; and deeply valuable as a study of a network of urban economies, the actors within them, and of the patterns of differentiation between large and smaller towns.